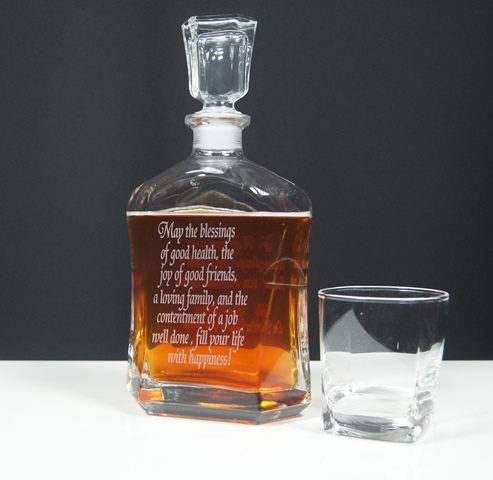 Our Decanter and two glass set makes a great milestone celebration gift. 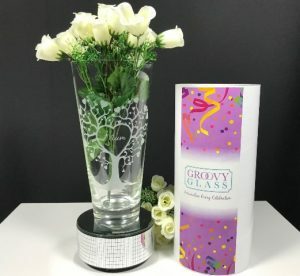 Personalise the decanter and glasses to make a truly unique gift. An art proof will be sent through to show the layout prior to production. Select from our vast range of fonts and graphics. You can also elect to provide your own font or allow us to design something unique for your gift. Choose your gift box lid colour. 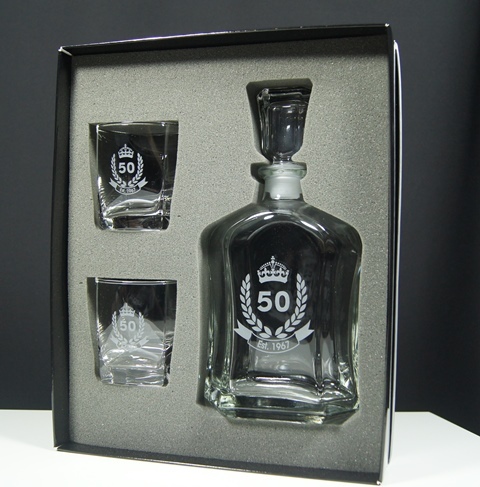 Our Decanter & Two Glass Set measures 27cm in height and is securely packed in our custom foam lined gift box with two square tumblers. Select your font and graphic and add your wording and Viola you have played a part in the design process. 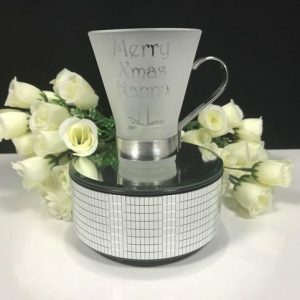 Please detail all wording that is required to go your items and specify if you are wanting different wording on the decanter and the glasses. 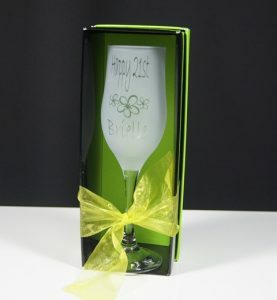 All items will be etched which gives a soft satin finish, it is 100% permanent. Once your order is received and paid we will send through an art proof for you to view prior to the commencement of production. Once approved please allow 7 business days for production to be completed. You will receive an email notification that your order is on its way to you.